Bill Murtagh, who passed away on October 28 at age 95, was among the most visible and effective preservation leaders in the middle of the 20th century, when the movement was expanding its focus from historic sites, museums, and teaching to the emphasis on people and community that we recognize today. To those of us who came to preservation in the 1970s and ’80s, Bill was seemingly in the middle of everything. He served two stints at the National Trust for Historic Preservation, first as President Richard Howland’s assistant in 1958, later returning for several years as vice president for Preservation Services. He was a member of the committee that outlined the principles at the core of the 1966 National Historic Preservation Act. He was a key figure in the establishment and growth of preservation education programs from Columbia University to the University of Hawai‘i. His “Keeping Time: The History and Theory of Preservation in America” was one of our first textbooks. But it was as the first Keeper of the National Register of Historic Places that Bill is best known, and that is where he made such an indelible mark on the field. First, the job title itself was evocative, and Bill worked to live up to the lofty aspirations it suggested. More importantly, he brought a democratic and expansive view of what the federal government should recognize as worthy of preservation. Where others may have been stingy in recognizing the places that matter to communities, Bill approached people on the local level to help them identify places and articulate the meaning of those places to tell the full American story. This generous view of what makes America unique is what I remember from first meeting Bill Murtagh while working as a preservationist in Virginia in the 1980s. 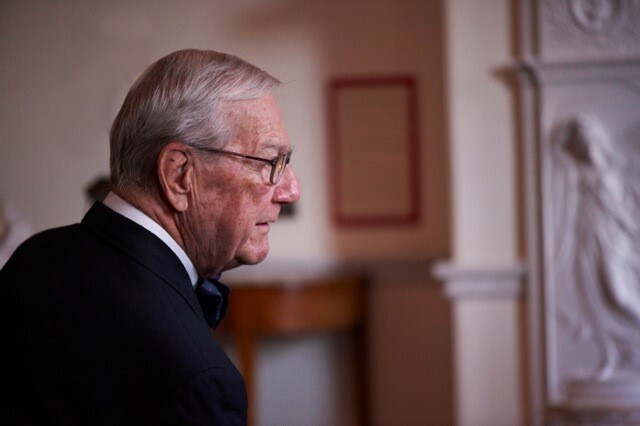 Bill, who had enormous national and international influence, worked tirelessly with his neighbors to ensure that the historic buildings, landscapes, and streetscapes of Alexandria, Virginia, were preserved, protected, and loved. He also served on the board of the Preservation Alliance of Virginia, providing instant credibility as we advocated for the importance of historic places to the commonwealth’s economy and future. Bill was always looking forward. In the fall 1999 issue of the Forum Journal, he took the time to contemplate what preservation would look like in this century, calling for renewal, retraining, and recommitment. The National Historic Preservation Act is now more than a generation old. A renewed commitment to human resources is still needed. In my considered opinion, that includes retraining existing professionals and improving the training of newcomers to the field even in many of the programs that now exist in academia. … Of primary concern is that there now seems to be a thin or non-interested grasp at all levels of government as to why our 20th-century preservation laws even exist and to what stimulated their passage. Preservation concerns still need to be part of the curriculum at the preparatory school level. ‘Civics 101’ needs to be reintroduced into school systems. Bill was ever hopeful for the day when America would have a national land-use policy and a cabinet-level post of cultural affairs to help recognize and protect our heritage for future generations. He encouraged us all to think about what mattered in our communities—and to find ways for the private and public sectors to protect and reuse those places. We all stand on his shoulders, and he will be missed.